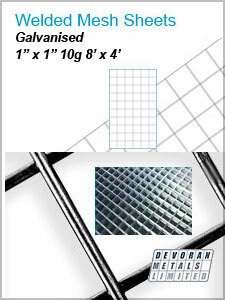 Welded mesh 10g 2" x2" 8 x 4 Self-colour x5 Sheets - Devoran Garden Gabions Ltd.
Additional sheets available to order. Delivered direct to site on a pallet within 48 hours of order. Delivery charges will be added to your basket at the checkout.